Protesters and museum staff respond after the National Museum lost 90% of its collection to a fire that spread on September 2. RIO DE JANEIRO — On the evening of September 2, a devastating fire spread through the National Museum of Brazil in Rio de Janeiro, one of the largest museums of natural history and anthropology in the Americas, leaving its collection in ruins. Established in 1818, the museum was also the oldest scientific institution in the country. 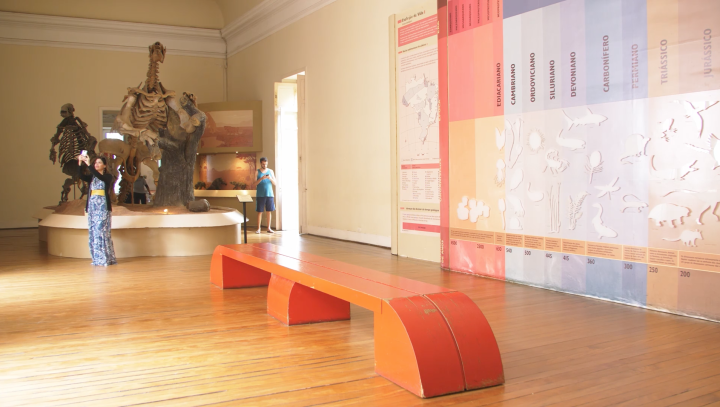 It housed 20 million items including the oldest human fossil in the Americas known as “Luzia,” thousands of Brazilian indigenous artifacts, dinosaur remains, and the largest Egyptian collection in Latin America. The building itself had historical significance, as it was once home to the Portuguese royal family and contained imperial documents that were relics of the time period. In a desperate attempt to safeguard items of unequivocal importance for scientific research, some of the museum’s employees, including Brazilian scientist Paulo Buckup threw themselves into the burning building. Buckup, who survived, managed to retrieve a small amount of samples of mollusks that were among dozens of thousands of specimens of South American fauna lost to the flames. Cristina Serejo, the deputy director of the museum who also attempted to save artifacts from the burning building, announced at a press conference on Monday that only about 10% of the museum’s collection was salvaged. Among the spared items are books from the museum’s central library, a meteorite, and a part of the zoology exhibit. Serejo also told the press that smoke detectors in the building had not been working and that investigations are underway to figure out what caused the fire. Officials speculate it could have been a paper balloon that carried a small flame or a short circuit in a laboratory. Watchmen on duty that night reportedly saw a flash of light coming from the first floor before the fire began to consume the building at 7pm. According to the local Fire Department, 80 firefighters from 12 different stations worked on putting out the flames. It wasn’t until 2am on Monday that they were finally able to get the situation under control. Fire hydrants near the museum didn’t have water in them and the fire department lamented having to bring over water from a nearby pond. Rio de Janeiro’s Governor Marcelo Crivella made a statement early Monday morning that was heavily criticized on social media for not acknowledging any of these shortcomings or mentioning the irreplaceable items lost to the fire. News of the disaster shook the academic community linked to the museum’s 200-year-old scientific institution. “The loss this represents for Brazilian science and culture can’t be measured. It wasn’t just the museum that caught on fire; it was all of Brazilian history. 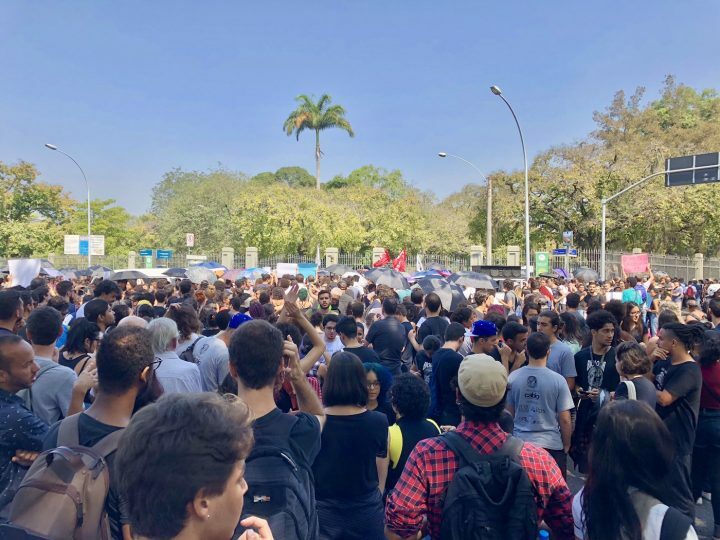 It was knowledge itself catching on fire,” said Tereza Cristina Trindade, a 23-year-old biology student whose teachers were researchers at the institution. “It was a tragedy foretold. The museum had already been shut down several times due to lack of funding. Many researchers and academics warned the authorities that this could happen,” she added while marching at a protest that took place outside of the National Museum on Monday morning. In the demonstrations scheduled for both the morning and night following the fire, hundreds of people took to the streets to protest a general neglect for the arts and lack of funding for the public sector in Rio. 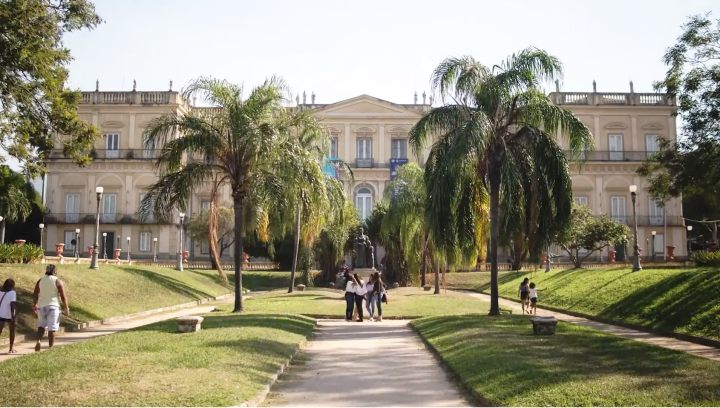 The National Museum is run by the Federal University of Rio de Janeiro and is funded by the Federal government. Ivana Bentes, who teaches a class on digital culture at the Federal University and is a prominent figure on social media, blamed the government for what she described as “negligence” of Brazil’s cultural heritage. “There is no public policy in place to maintain and preserve our heritage. The same negligence that is applied to our heritage, is applied to our research, science, and everything that is public,” she said in a post on her Facebook page. The museum had been scraping by on minimal funding for several years — according to El País, the expected funding for 2018 was 205,821 reais (~$50,000). 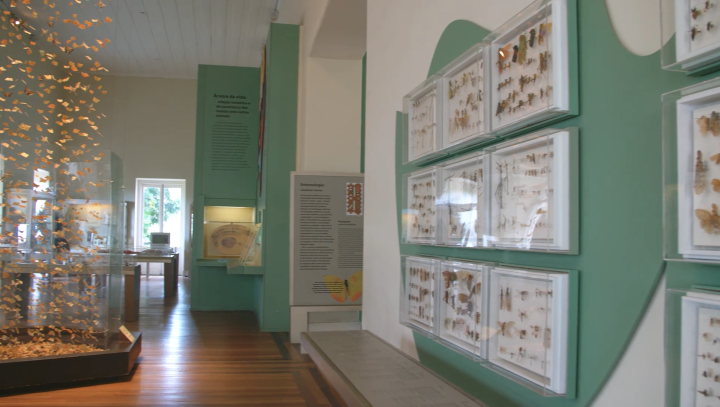 A 2015 article from the local newspaper Globo said that the museum had shut down because it could no longer afford to pay for cleaning and security services. The situation was reportedly so critical that the museum’s own employees had gotten together to cover the cleaning staff’s salaries. 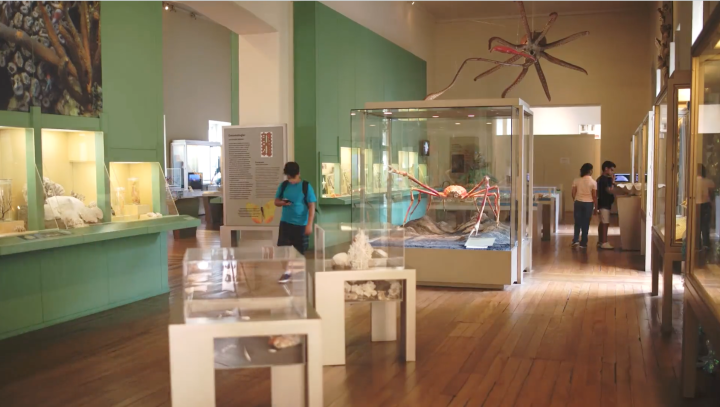 A video posted four months ago features the museum’s director Alexandre Kellner promoting a crowdfunding campaign to revive one of the museum’s exhibits, which was no longer functioning due to budgetary constraints. An official statement issued to the press by Roberto Leher, dean of the Federal University of Rio de Janeiro, says that funding from the Brazilian Development Bank was on its way and the institution was about to receive 5 million dollars to finance “the first phase” of a renovation project. The statement also adds that “in the last months, ample internal work was being done to create [fire] brigades and buy new equipment.” Up until the moment of the fire, local reports said that the National Museum didn’t have a designated fire brigade. 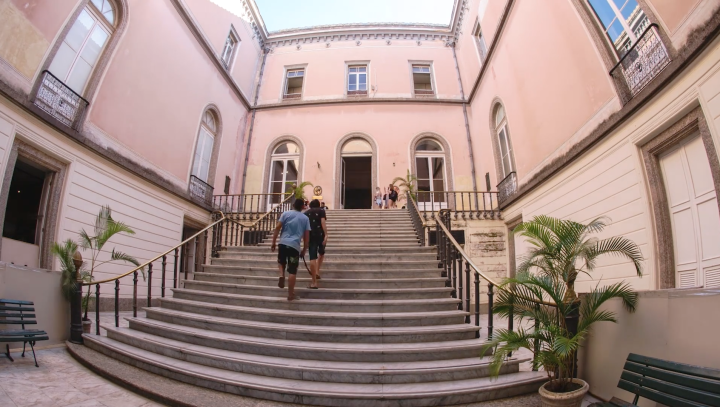 Although the museum had seen increasingly significant cuts to its budget since 2014, in the aftermath of the fire, the Minister of Culture Sérgio Sá Leitão expressed interest in protecting this cultural heritage. During a visit to the site on Monday, Sá Leitão announced a plan to allocate over 2 million dollars in funds for a recovery project. But this wasn’t the first time that Brazilian national treasures were consumed by roaring flames. The Museum of Modern Art in Rio de Janeiro also lost works of art by Picasso, Dalí, Miró, and prominent Brazilian artists to a fire that broke out in 1978. A fire that took over renowned artist Hélio Oiticica’s apartment in 2009 destroyed $200 million dollars’ worth of art. In recent years, a series of fires devastated buildings that house Brazilian museums, theaters, and cultural institutions. The BBC reported that in the last 10 years alone fires have destroyed eight buildings in Brazil dedicated to science and the arts. 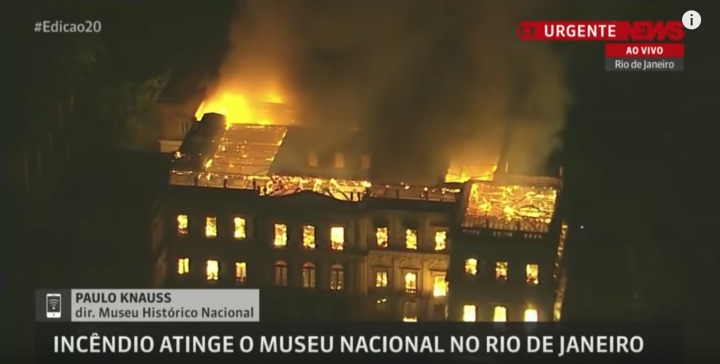 In 2015, the Museum of the Portuguese Language caught on fire in São Paulo. More recently, in February of 2016, the Brazilian Film Archives known as the Cinemateca Brasileira lost 270 titles in its collection in another grave fire. Fast-forward to 2018 when a mounting political and economic crisis is consuming Brazil and the context behind the tragedy that struck the National Museum is even more harrowing. In 2016, just 50 days away from Rio de Janeiro’s debut on the world stage as host for the Olympics, interim Governor Francisco Dornelles declared a “state of calamity,” or financial emergency, in the city. 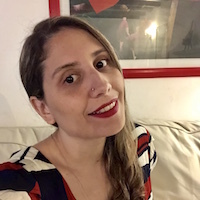 Award-winning Brazilian journalist Eliane Brum, who was on site at the National Museum when the flames were blazing, wrote a poetic piece in her column at El País, titled “Brazil has burned down — and there was no water to put out the fire.” In the account she compares the tragedy to the country itself going up in flames. “Losing the museum wasn’t an accident and it wasn’t unexpected. It is the result of negligence that has been happening for a while now. 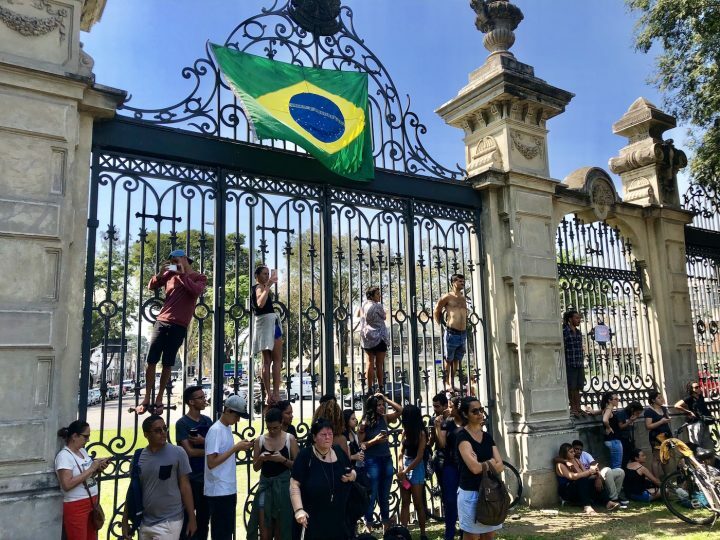 It is very symbolic that this happened during election season,” said 21-year-old student Lucas Santos who is majoring in design at the Pontifical Catholic University of Rio de Janeiro (PUC-RIO).